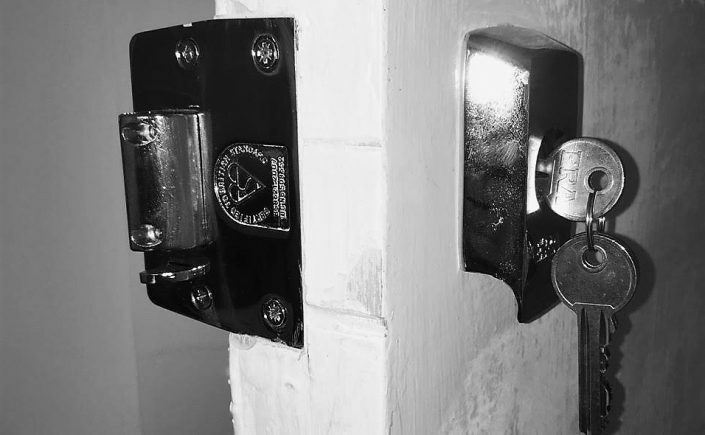 LBP locksmith Brighton were called for an apartment lock replacement in the seven dials area of Brighton. 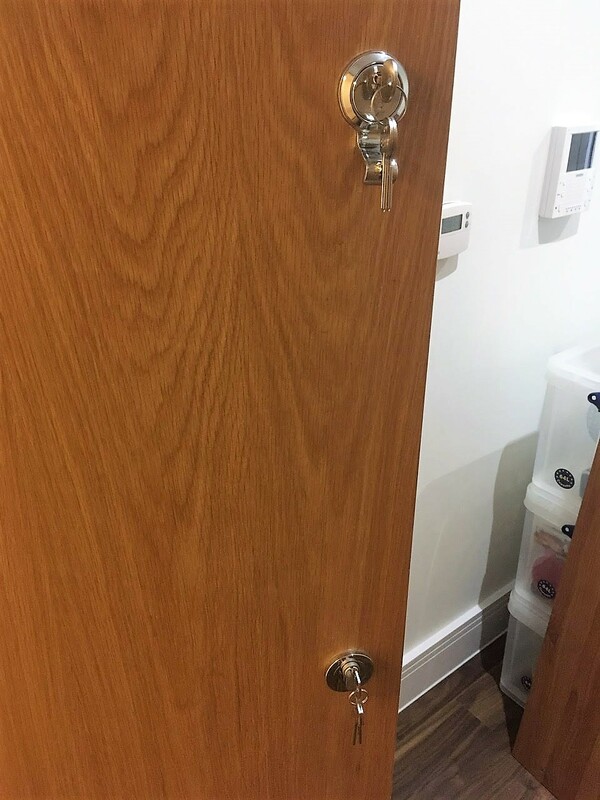 The customers had recently purchased a property within the building and very sensibly wanted the locks replaced as they were unsure how many keys were in circulation to their newly acquired dwelling. LBP locksmith Brighton attended the property at a time which suited the customers later on that day. Both locks were changed efficiently and at the cheapest price the customers received. LBP locksmith Brighton made a same day lock upgrade. We replaced a standard traditional style Yale lock with a much higher security ERA British standard version. The upgraded lock is made to withstand many forms of manipulation and bypass methods. If all you have on your wooden front door is a latch type lock be sure it’s one similar to this. Always look for the British standard kite mark and do your bit to beat the burglars. LBP locksmith Brighton were called for an apartment lock change in the centre of the city. The customer was concerned that their current night latch lock was not sufficient enough to withstand an attack. We advised what options were available and proceeded to install a British standard Union deadlock. The lock is recognised by all insurance companies and having one fitted means you would be covered if you were to be broken into. However, high security locks like this cannot provide complete safety, it’s just not possible to say this. If the crooks have battering rams, they will get in. Having said that, the locks protrude so far into the door frame, smashing through it with a battering ram would make the most almighty racket. 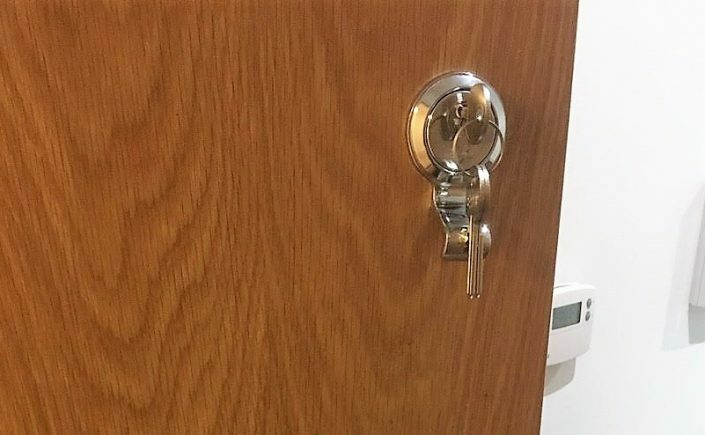 Most crooks don’t carry battering rams and don’t want to attract attention, so having a lock like this installed is a good move if you care about your home and it’s contents. LBP locksmith Brighton were called for a property lock change in the Hollingbury area. The customer wanted better security for their communal door. LBP locksmith Brighton installed a GeGe Pextra euro cylinder which operates a deadlock. This particular lock is very high security and additional keys can only be obtained through LBP locksmith Brighton. 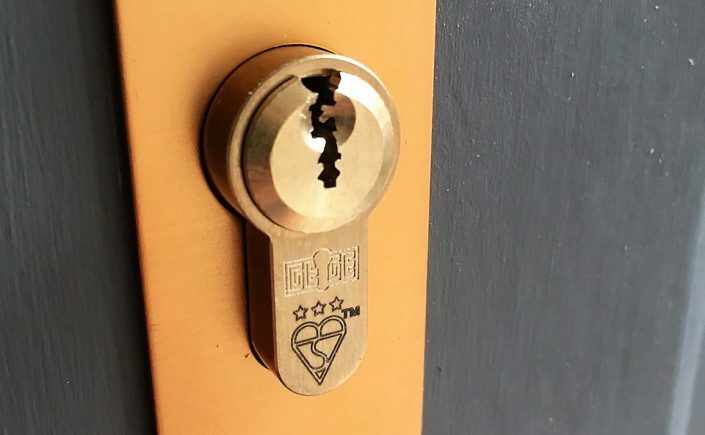 This makes the lock a restricted cylinder and gives the customer complete control and peace of mind regarding how many keys are in circulation. 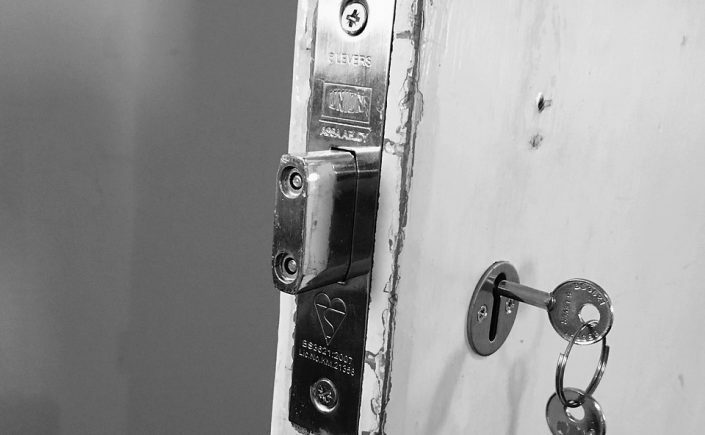 Get high quality locks installed in your home by contacting LBP Locksmiths.